UPDATE: See the renovation HERE! Russ Pitman Park at the Nature Discovery Center is one of our new favorite spots! 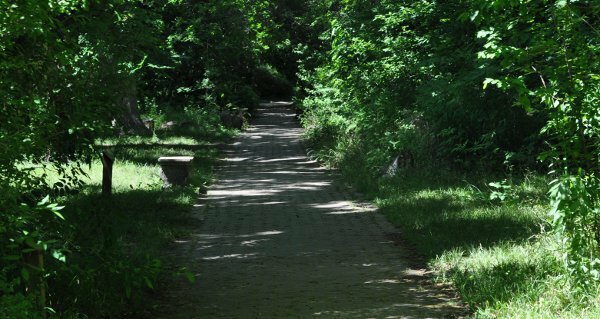 Located in Bellaire on Newcastle, Russ Pitman Park is 4 acres of woods, trails, picnic tables and playground. My city kids love to explore this public park. We “hike” the trails, visit the bunny, quails, doves and pigeons, and play on the playground. The play structure is not huge, but it has a music theme and we can put on a good concert with the drums. 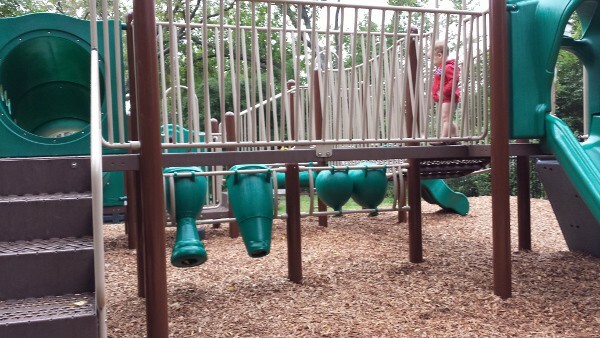 Young kids love the crawl tubes, monkey bars, slides, climbing ladders and rock walls. 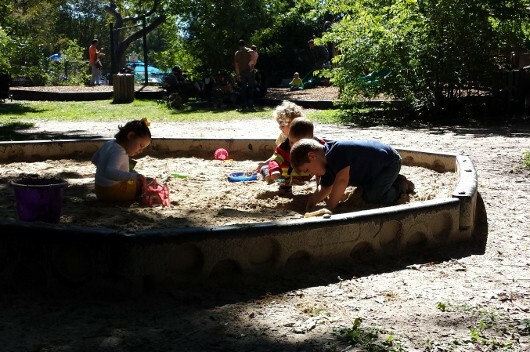 The play area also has a sandbox, toddler swings and open space for playing. The park is open 6:00am – 9:30pm daily and is free to visit. The Nature Discovery Center, housed in the Henshaw House is open Tuesday – Sunday, 12:00-5:30pm. Restrooms are available in the Nature Discovery Center, during open hours. 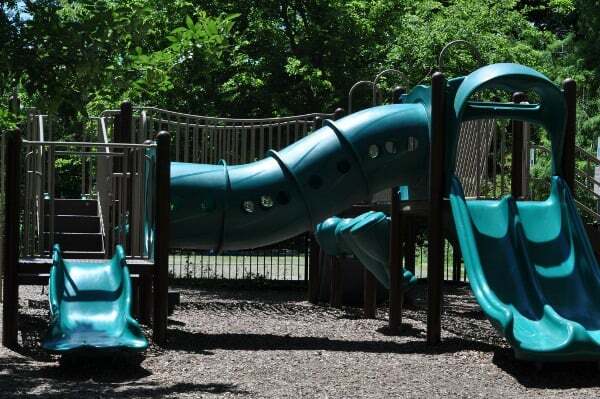 If you are looking for more fun, Evergreen Park is right across the street. This park is in the middle of the city, but is a little secluded. Since there is not a lot of eyes on the trails and playground, I prefer to have another adult with me. That said, I’ve never been concerned about safety here. I recommend you grab your city kids and take them for an outdoor adventure at Russ Pitman Park. Pack a picnic, explore the trails, find the animals, take some pictures, play on the playground and visit the Nature Discovery Center. And it’s all free! How to Make Bat Wings - Easy DIY Project, Perfect for your Halloween Costumes!